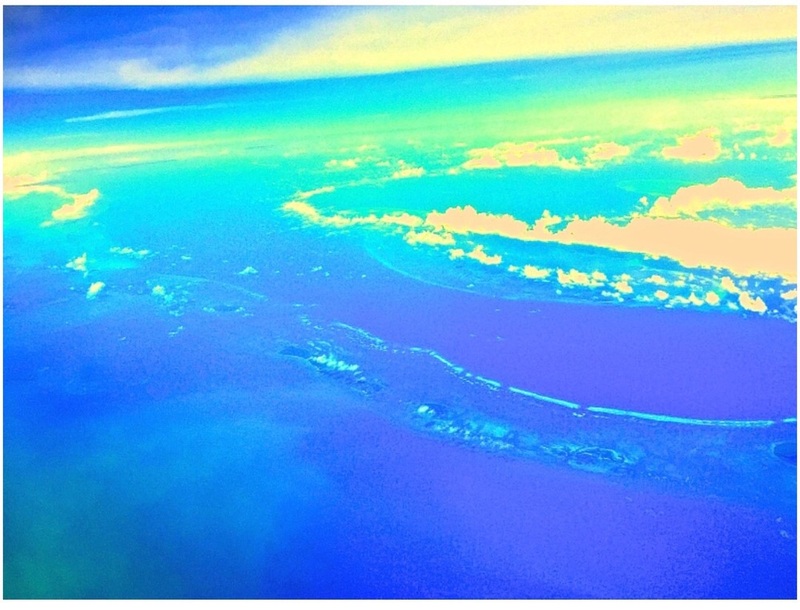 "Blue Hole Belize", 18" x 20", glossy print on paper, $50. I love to fly. I get a window seat if possible. I enjoy take off. I spend my time gazing at the world below, savoring the fact that I am in the sky. I find it relaxing to be so far above it all. The aerial view of the Caribbean is otherworldly. Vivid aqua, pristine, and mysterious. The Blue Hole is the most enchanting locus of it all. I took this photograph on my way back from Nicaragua in early June. If you'd like to have a moment above it all, order one for your wall. A moment of such detachment can be useful. If you'd like to have a print just reply to this email and let me know. I hope you are savoring your summer and that it has been less busy and more relaxing than mine.